Smørrebrød usually consists of a piece of buttered rye bread (rugbrød), a dense, dark brown bread. Pålæg (literally “on-lay”), the topping, that among others can refer to commercial or homemade cold cuts, pieces of meat or fish, cheese or spreads. 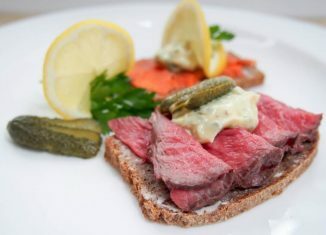 This daily practice is the base of the famous Danish open sandwich, smørrebrød: a slice or two of pålæg is placed on the buttered bread, and then decorated with the right accompaniments, to create a tasty and visually appealing food item. 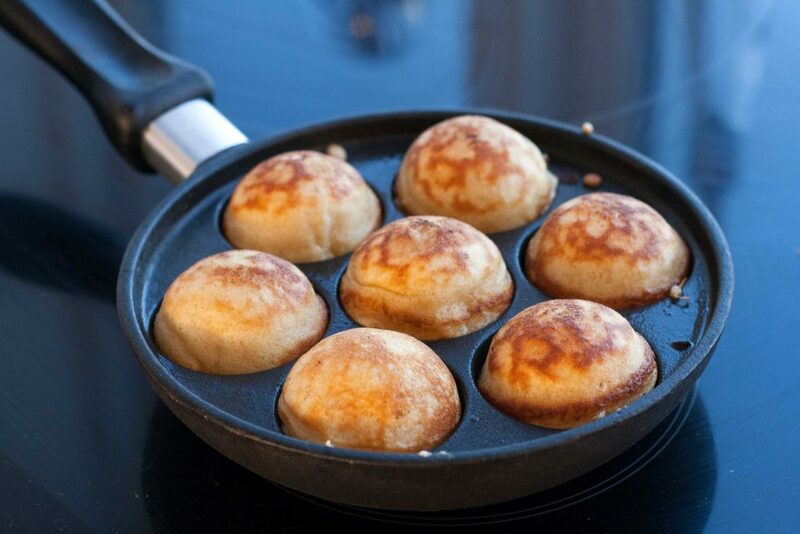 Æbleskiver “Pancake Puffs” also called “appleskives” are traditional pancakes in a distinctive shape of a sphere. The name literally means apple slices in Danish, although apples are not usually an ingredient in present-day versions. Somewhat similar in texture to European pancakes crossed with a popover or Yorkshire pudding, æbleskiver are solid like a pancake but light and fluffy like a popover. The English language spelling is usually aebleskiver or ebleskiver. Glögi, also called Glühwein or mulled wine, is a spiced, usually alcoholic drink, served warm. The original form of Glögi, a spiced liquor, was used to revive messengers and postmen who travelled on horseback or skis in cold weather in Scandinavia. The production of glögi begins by boiling water and adding spices to it. After a few minutes of simmering you sieve the mixture, and add for example blackcurrant juice and clear spirits. Glögi can also be used to produce wine. 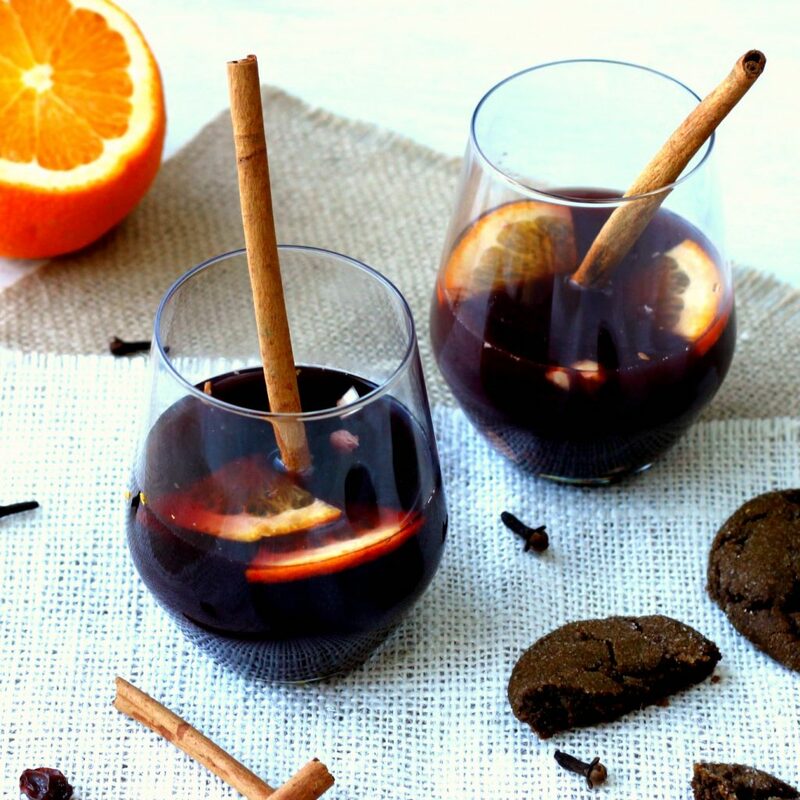 The most common spices in Finnish glögi are cloves, cinnamon and ginger. Other common spices are orange peel and cardamom. The same spices are often used in glögi as in ginger snaps. Glögi may also contain raisins or almonds. 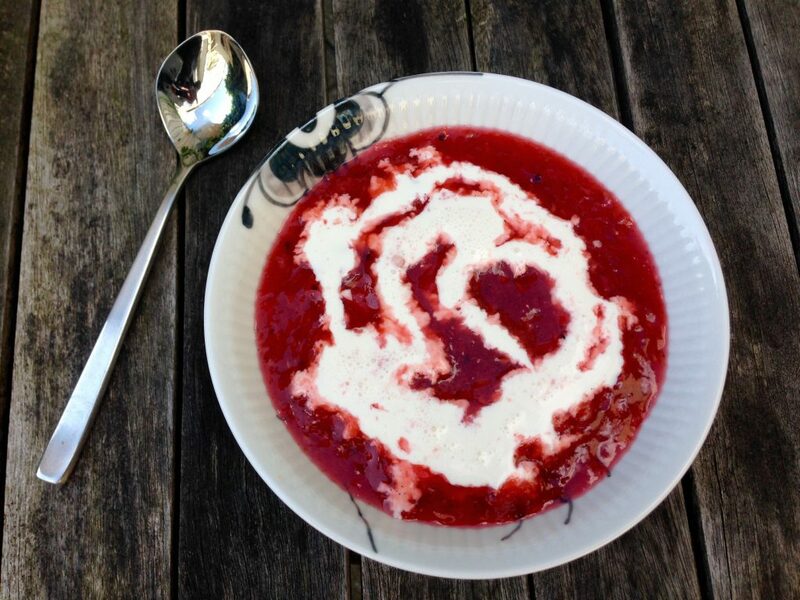 Sstewed, thickened red berry compote (usually a mix of strawberries, rhubarb, raspberry) served with cream or as topping on ice cream. 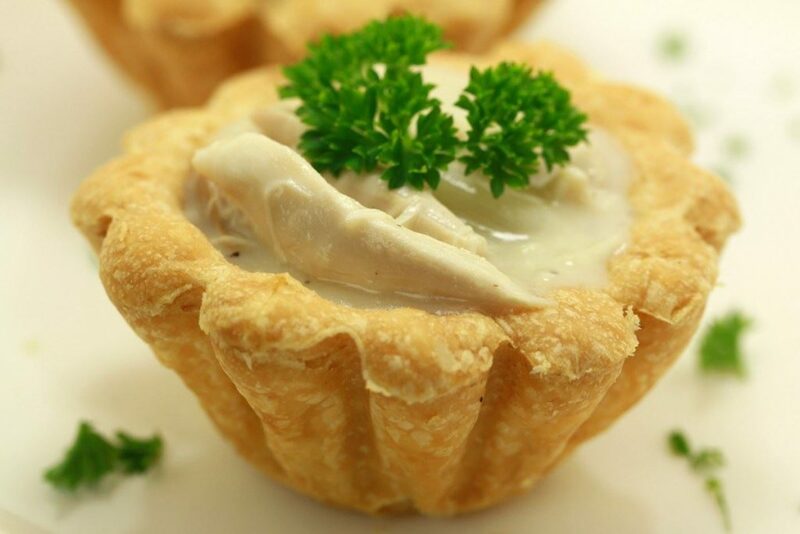 Small bowls of crusty pastry traditionally filled with Høns i Asparges. Rugbrød is a very common bread in Denmark. 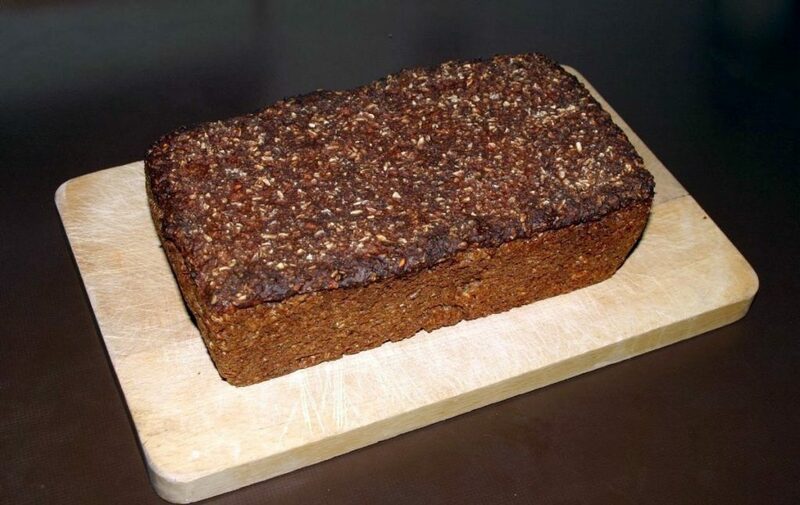 Rugbrød usually resembles a long brown extruded rectangle, no more than 12 cm high, and 30–35 cm wide, dependent upon the bread pan in which it is baked. The ingredients typically include rye flour, cracked or chopped rye kernels and seeds such as sunflower seeds, linseeds or pumpkin seeds. 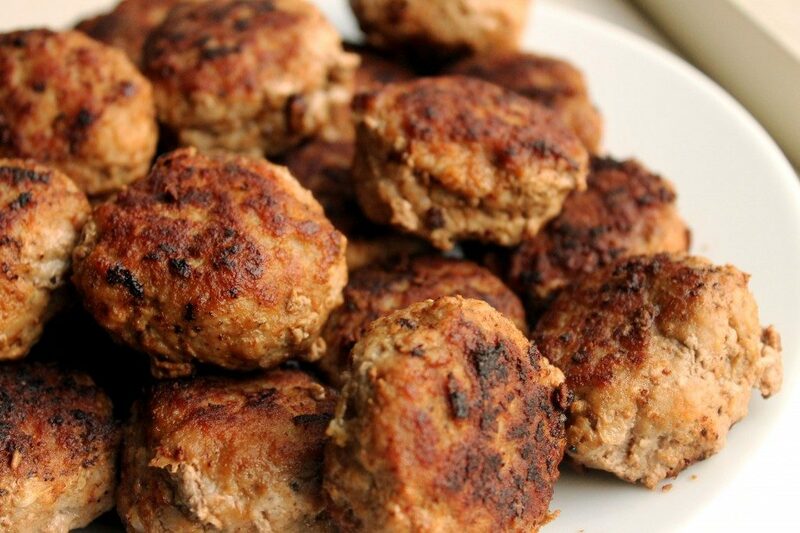 Frikadeller are flat, pan-fried meatballs of minced meat, often likened to the Danish version of meatballs. The origin of the dish is unknown but frikadeller are most often associated with Danish cuisine specifically or Scandinavian cuisine in general. 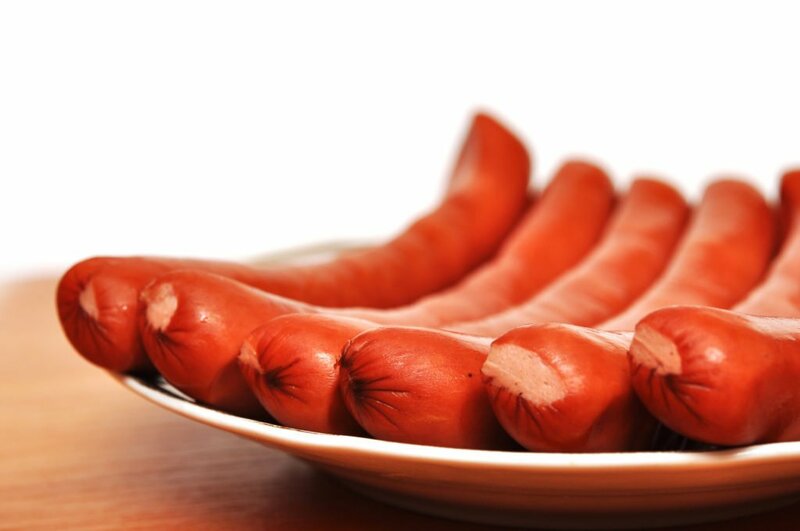 They are a popular dish in much of Europe, especially Germany, where they are known as Frikadellen, Buletten, Fleischküchle or Fleischpflanzerl, Austria, where they are known as Faschierte Laibchen and Denmark, their supposed country of origin. Through cultural exchange with the aforementioned countries, frikadeller have also entered national cuisines of other European countries such as Faroe Islands, Norway, Poland, the Czech Republic, Slovakia, Slovenia, Croatia, Russia, Estonia, Ukraine, Latvia, the Netherlands, Lithuania as well as South Africa, where they form part of the Afrikaner culinary heritage. In Swedish cuisine, poached quenelles are called frikadeller and are usually served in soup. In Hungary, it is called fasírt and often accompanies the Hungarian stew type, the “Főzelék”. Risalamande is a traditional Danish dessert typically served at Christmas. 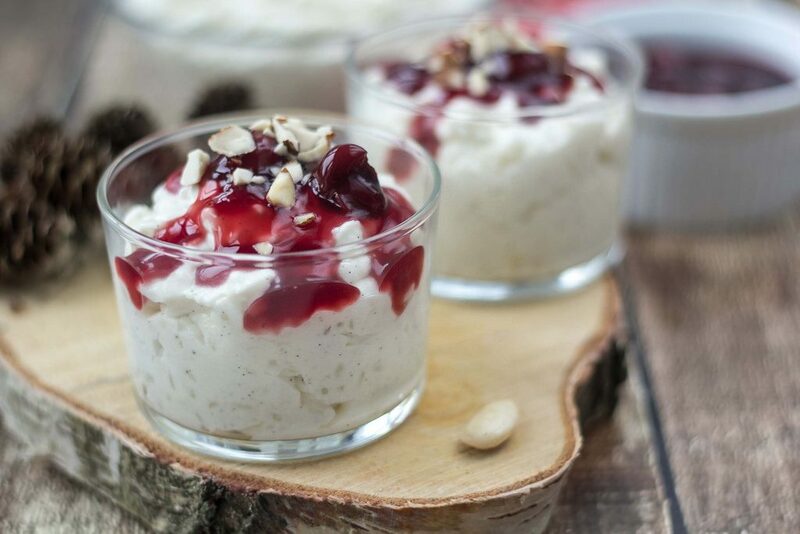 It gained popularity when rice pudding became more common. Until then rice pudding had been a very exclusive dish, as making it required two expensive, imported ingredients: rice and cinnamon. After World War II, risalamande experienced an increase in popularity, being touted as a “savings” dessert: adding whipped cream (which was easily available) to the still fairly expensive rice would make the rice last longer. In order to minimize costs, risalamande was frequently made without almonds during this time, too. 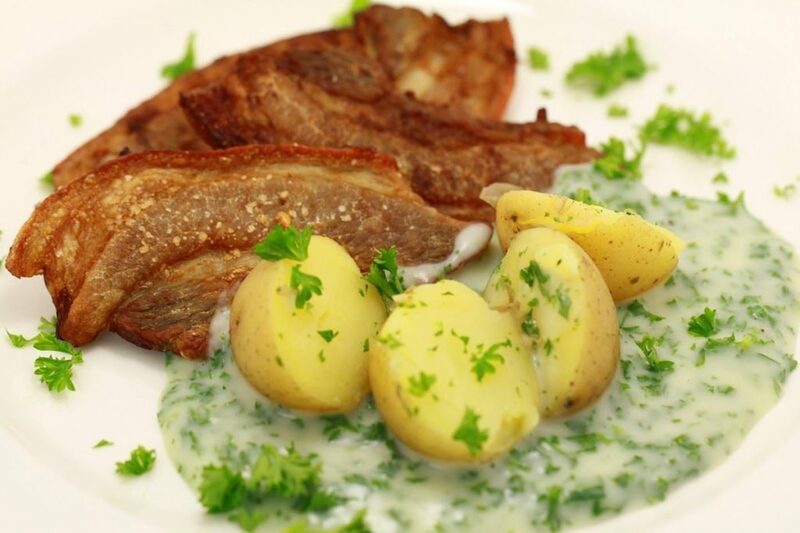 Stegt flæsk is the national dish of Denmark and one of the country’s most popular foodstuffs and has been described as “a dish of pork fat, and only pork fat, in parsley sauce. Mmmm.” An “alternative guide to Denmark” from the British broadcaster BBC described stegt flæsk med persillesovs as fried slices of pork with fat served with parsley sauce and boiled potatoes. Stegt means ‘fried’ and flæsk means ‘strips of pork belly’. It is lightly salted but not smoked. A Danish pastry or just Danish (especially in American English) is a multilayered, laminated sweet pastry in the viennoiserie tradition. 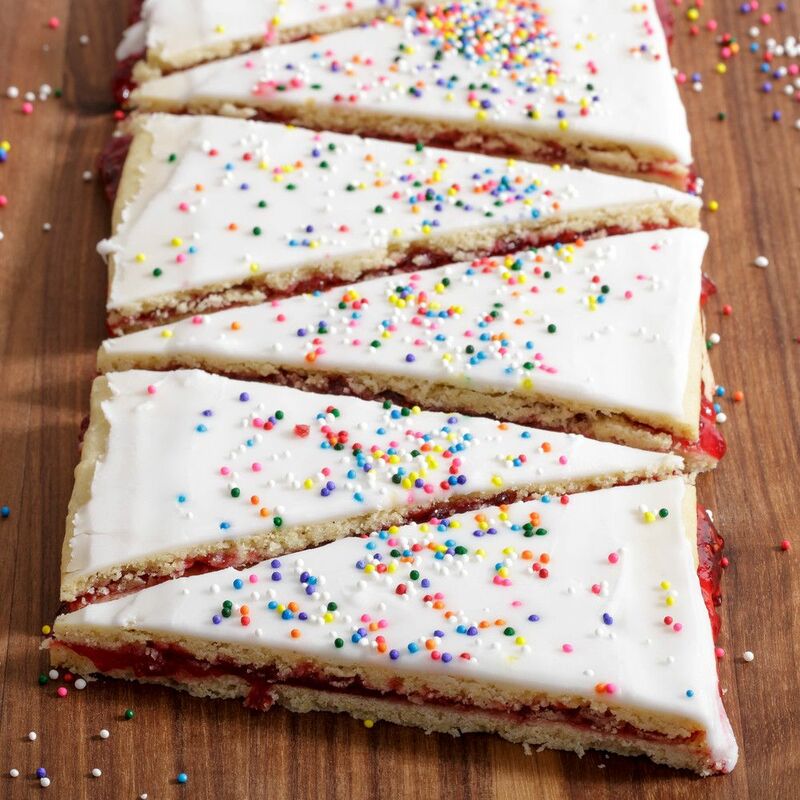 The concept was brought to Denmark by Austrian bakers and has since developed into a Danish specialty. Like other viennoiserie pastries, such as croissants, they are a variant of puff pastry made of laminated yeast-leavened doughs, creating a layered texture. Danish pastries were exported with immigrants to the United States, and are today popular around the world. Rød pølse (Red sausage, About this sound listen (help·info)) is a type of brightly red, boiled pork sausage very common in Denmark. Since hot dog stands are ubiquitous in Denmark, some people regard røde pølser as one of the national dishes. Røde pølser are of the Vienna type and the skin is coloured with a traditional red dye (carmine). They are to be heated in hot water and are commonly served with remoulade, mustard or ketchup, fried onions and pickled sliced cucumber. Legend has it, that it was once ordered that day-old sausages be dyed as a means of warning. 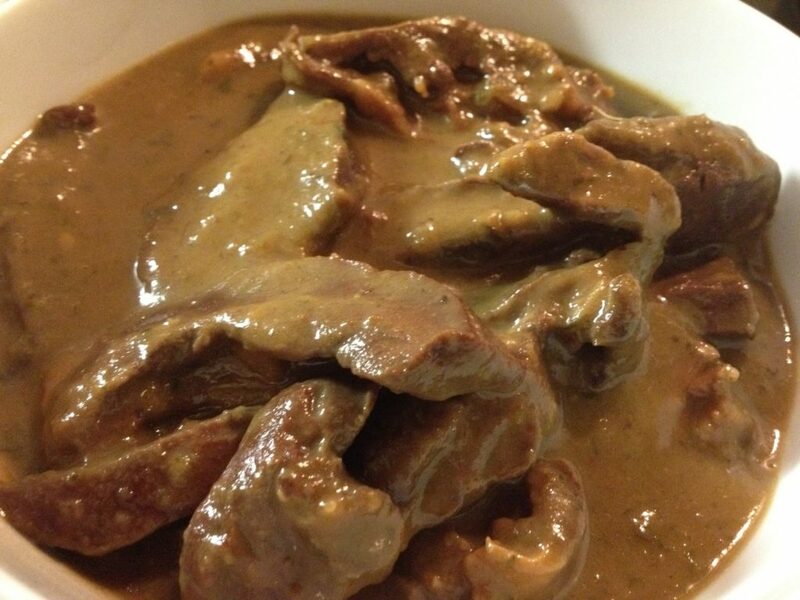 Calf’s hearts are cleaned and stuffed with parsley and smoked bacon or lard from pork. They are seasoned and fried in a pot with butter and onions. Bouillon and cream is added and they are left to simmer for 1½ hour. The hearts are sliced and served with the sauce, mashed potatoes and surt (a general term for pickled vegetables). Æbleflæsk is a traditional Danish dish consisting of cured or salted pork belly (known as flæsk), fried with apples, thyme and sugar. Chopped onion is often fried with the apples. 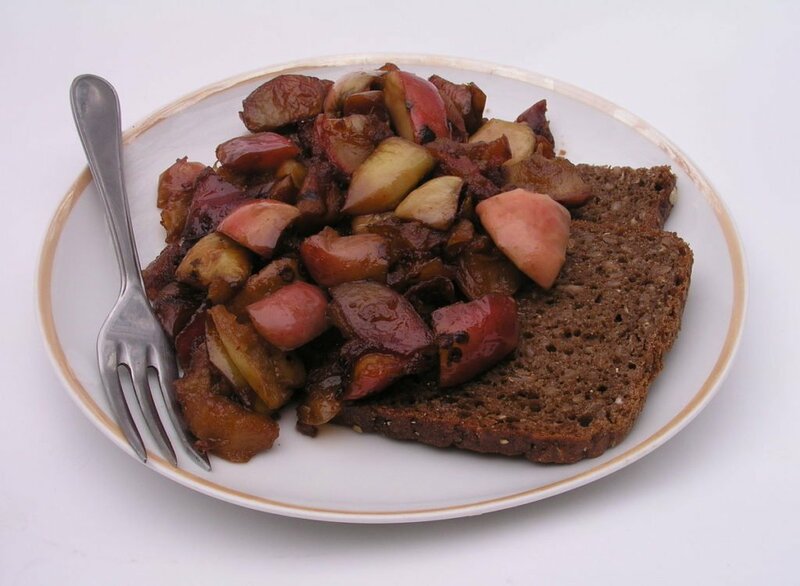 There are many versions, ranging from a sweet apple mash with small cubes of bacon, to larger slices of lightly salted and fried pork, arranged with the fried apples and onions on a dish. In a version common today, the pork belly is fried first in a skillet, and then followed by pieces of tart apples. While the apples are frying, they are mixed with spices and sugar. The apples should soften up before they are done. 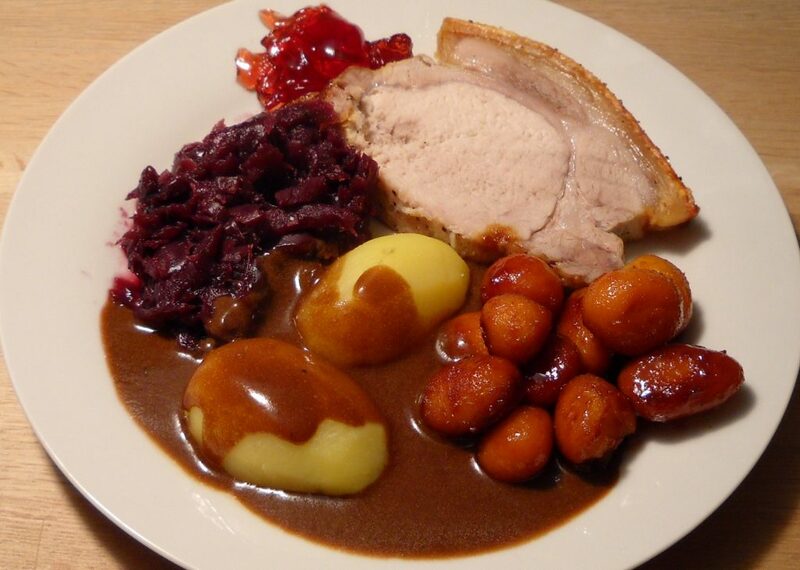 When ready to serve, either cold or hot, the pork and apples are mixed and rugbrød is offered on the side. In alternative versions, the apples are cooked in water instead and the pork belly is prepared in the oven.